Gas is good and pethidine priceless when it comes to dealing with the pain of labour, but maternity hospitals will soon offer women a new drug to try – and it’s as easy as a spray in the nose. Maternity hospitals in Australia will begin offering the new drug to labouring women within months after a trial found Fentanyl spray was more effective than pethidine injections in dealing with labour pain and had less of a drugging effect on the baby. The trial involved 156 women, with more than 80 per cent saying they would choose to use it again. 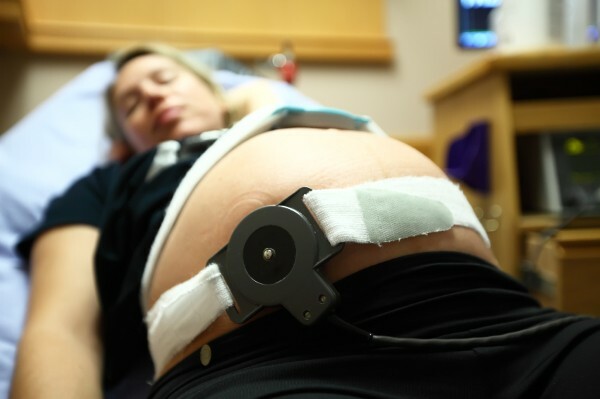 The spray, a narcotic that crosses the placenta to the baby, resulted in less nausea and sedation, shorter labour, fewer babies admitted to the nursery and fewer breastfeeding problems. UniSA midwifery researcher Dr Julie Fleet says mothers need better options for pain relief. Dr Fleet says the Women’s and Children’s Hospital in Adelaide was likely to introduce the fentanyl spray in the coming months, followed by other maternity hospitals. Gawler Hospital continued to offer it to women in labour after the trial ended. Dr Fleet says if women respond well to the spray, they may be less likely to progress to an epidural. “Fentanyl administered by the nasal spray doesn’t completely eliminate pain, so it is suited to women who still want to be able to feel something,” she says. Raewyn Brownbill was offered the spray when in labour with baby Nate five weeks ago.